We are pleased to announce that we are now a stockist of Image skincare! Our salon is dedicated to providing the best quality products and results driven facials. The new treatments we are able to offer with this product are going to add great value and allow us to treat a wider variety of skin types and conditions. Not only does the range include some amazing resurfacing treatments, but also includes the 02 lift oxygen facial which we introduced to the salon a few months ago. We needed something different, new and shiny for 2018 and its here! Image is an evidence based clinical skin care product, providing highly active solutions to the professional beauty market. Made in America and formulated by internationally recognised chemists and a board of physicians, medical grade ingredients are used as well as the latest advancements in skincare technology. The brand philosophy is to provide a complete system for the skin including exfoliating acids, retinol, lightening agents, antioxidants, stem cells, peptides and sun protective factor. 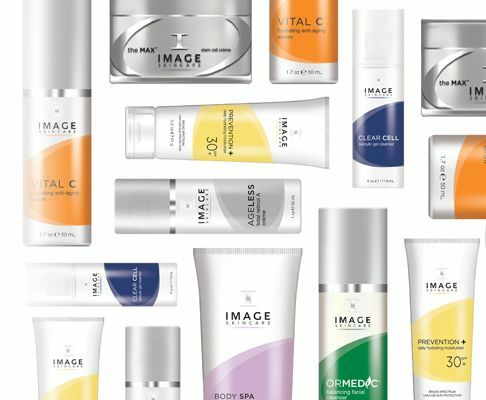 Image skincare is simple to use with a simple colour coded system and is sold worldwide; it is the fastest growing skincare company in the US. Offering safe products without the use of chemical preservatives like parabens. They also boast no animal testing, no petro chemicals, vegetable and soy based ink on all printed materials, recyclable packaging, bio-degradable packaging materials. Furthermore, we are thrilled that we will also be stocking Image I-conceal makeup. This is the first cosmeceutical liquid foundation that conceals, heals and protects skin for a healthy flawless complexion. Image I-conceal makeup features neuropeptides that mimic botox, plant derived stem cells for ultimate anti-aging benefits. It is also great for oxygenating and soothing after an exfoliative facial or as an everyday foundation.